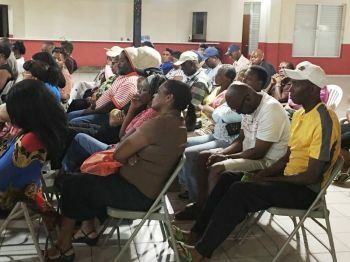 Dr O’Neal was upset with statements made by Hon Fraser at his public meeting on November 2, 2016 at the Catholic Community Centre on Virgin Gorda. A furious Dr O’Neal called his own meeting on November 9, 2016 at the Catholic Community Centre and, in a manner most unbecoming of an elected representative, said he is normally a quiet person but he was upset to the point that he would have punched Hon Fraser. "But I could tell you something, after that I was so angry with that member. If he was anywhere near me, and I am telling you this from the depth of my heart right, if he was anywhere near me, he would find out how much reach I have and he would find out how much clout I have because I was going to hit him bottom up, put a good fist on his jawbone and he was going down." Hon O’Neal even directly disrespected the House of Assembly (HoA) when he said he would have physically assaulted Hon Fraser in the HoA if necessary. According to Hon O’Neal, he was not going to take any “disrespect” from the Opposition Leader. Meanwhile, Hon Fraser addressed the matter on his Facebook page on November 10, 2016, saying that in a “weird and incredibly ill-advised meeting” Dr O’Neal made a series of threats to him in his capacity as Leader of the Opposition and that he wished to respond with a hope that civility can return to politics in the Virgin Islands. “Unlike the hostilities and threatening antics of Dr O'Neal -Member for the 9th District-, I thought I was quite civil to the Member as I only pointed out my observations, evidenced by the opening paragraphs of my very comprehensive presentation which had little else to do with him….There have been many observations that I made during the last General Elections Campaign, but none was more pertinent to you the people of Virgin Gorda than the need for you to ensure that your next Representative be someone in a position of high authority,” Hon Fraser said in sticking to his argument that Dr O’Neal lacks clout. Meanwhile, many Virgin Gordians on social media expressed disappointment with their Representative. Some even suggested that the threats by Dr O’Neal were made outside of the House of Assembly where he was not protected by immunity and that the matter should be reported to the police. Another said the Ninth District did not belong to the Representative and that any Member should be free to call meetings there. 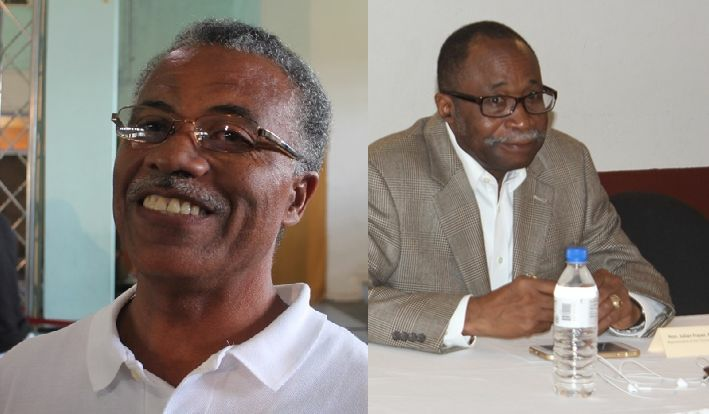 Dr O’Neal had called the meeting in Virgin Gorda by Hon Fraser ‘unprecedented’. O'Neal lost his temper in a bad way. It makes him look unprofessional. you loose you temper in the Heat of the Moment..... not 7 days after the fact. He should have been level headed enough to formulate a better response, he had enough time to write, rewrite wrote and rewrote his speech. What he did was in really bad taste and a discredit to his office. Why be a Donald Trump when you could be an Obama.. "When they go low we go high". Fraser is a man, infact fraser is the man...Oneal is a lil boy. Knock his Axxx out. Then run. One heavy right to the Jaw.. Shut it for good. I try to give people the benefit of the doubt, but this was a bit much. I do not agree with the way Dr O'Neal addressed this matter. He should have addressed Hon Fraser directly. Give him a call or something. Fine, he did not attend the meeting, but Hon. Fraser did inform him, he had a choice. On another note, Dr O'Neal was out of line. As a representative, a member of the House and as a grown man, he should have conducted himself better. What if a resident in that district tells him something he doesn't like, would he get physical? This man was not ready for the political arena. Hon Fraser has been bashed more than a coconut and he has NEVER stooped so low. Dr. O'Neal needs to issue a public apology. Since when Bertie get some much balls. Thing to talk mehson. He busy playing bad man, but if I was Fraser I would report him to the police and say I'm in fear for my life because this man made a public threat. No need for witnessess cause it's already breaking news. Bertie know Fraser speaking the truth so he get vex, that's all it is. Hey.......maybe we can turn this into a fundraiser. D9 vs D3. Winner takes all for a charity or school in their district...lol. What you all think? O'Neal is a wimp, always been a wimp and will always be a WIMP. Fraser right to not take him on because that is child's play. I doubt he has time for that nonsense. Do not always like VIP's approach but one thing about them is that they behaved like men. As a female I dislike seeing all of this whining, fussing and over emotionalism seen in recent years.